Find the Perfect Balance within. Our massage therapists work by appointment only, no walk-ins. Once you have called and made your appointment, please arrive a few minutes early. Upon entering please remove your shoes and enter the door marked Massage. Your therapist will greet you. You can then fill out your paperwork in our beautiful quiet room. At your first massage appointment, you must fill out a health questionaire. This information is critical for the therapist to give you the most appropriate and beneficial massage for you and your needs. It isn't neccesary for you to know about the different modalities practiced by our therapists. They will blend the appropriate mix of styles into your indvidual massage. The exception to this rule would be Thai Massage as it is a stretching massage that is done fully clothed. Swedish Massage is a gentle massage using oils or creams. Light or moderate pressure is used with soothing strokes that produce a deep sense of relaxation. Deep Tissue Massage slow deliberate massage techniques, using elbows, forearms and knuckles relieve tightness from the overuse and tension of muscles. Deep tissue is popular among athletes and frequent massage goers, who perfer a firm touch to a gentle one. TriggerPoint Therapy is the use of steady pressure points to relieve pain patterns created by chronic muscular tension. Reiki is a traditional form of gentle hands-on healing that works with the body's energy field to promote relaxation and healing. Thai Yoga Massage is a powerful combination of massage, accupressure, stretching, and energy work. 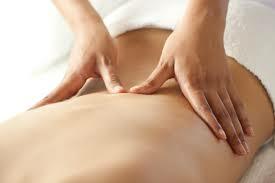 Thai massage stimulates the flow of energy and increases the flexibility within the body. This massage is done on a large padded mat on the floor. This massage is enjoyed wearing loose clothing and without oils or lotions. Cranio Sacral Therapy may be performed on a person fully clothed. Using light touch the therapist monitors the rhythm of the craniosacral system to detect potential restrictions through out the body. Deeply relaxing work. Reflexology is a modality that uses thumbs and fingers to work on reflex points on the hands and feet. Valuable for releasing tension throughout the entire body. Sam Allen Samantha graduated from the Aveda Institute in 2006. She specializes in deep tissue, pre - natal and reflexology. Sam has an amazing touch and enjoys reducing stress and discomfort from her clients bodies. Steve Zediker Steve has over 30 years of massage experience. He enjoys giving both Deep Tissue massages and gentler Swedish massage and Reiki treatments. He is also a Thai Therapist and has a medical massage certificate for the Shoulder Girdle and the Abdominal Wall. Pam Havig is co-owner of Perfect Balance. She is a Yoga Therapist and a Certified Massage Therapist. She has been doing bodywork in the Billings area for twelve years. Pam's modalities include Swedish Massage, Deep Tissue, Reflexology, Reiki, Cranio Sacral Therapy and Thai Yoga Therapy. Her touch is both comforting and healing. Rory R. Rogina is co-owner of Perfect Balance. He is a Registered Yoga Teacher and a Certified Massage Therapist. Rory feels that in this stressful day and age bodywork is an essential part of a healthy lifestyle. His modalities include Swedish Massage, Deep Tissue, Reiki, Reflexology and he specializes in Traditional Thai Yoga Massage and Thai Yoga Therapy.